The Fakedes is a striking serif typeface with a classy feel. Its unique letters come in two styles: outlined and outlined bold. It’s the perfect font for every design which needs to look upscale and chic. 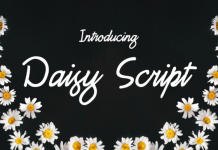 This free font was created by the talented Cyril Mikhailov. Let’s take a look at some of fonts amazing samples.